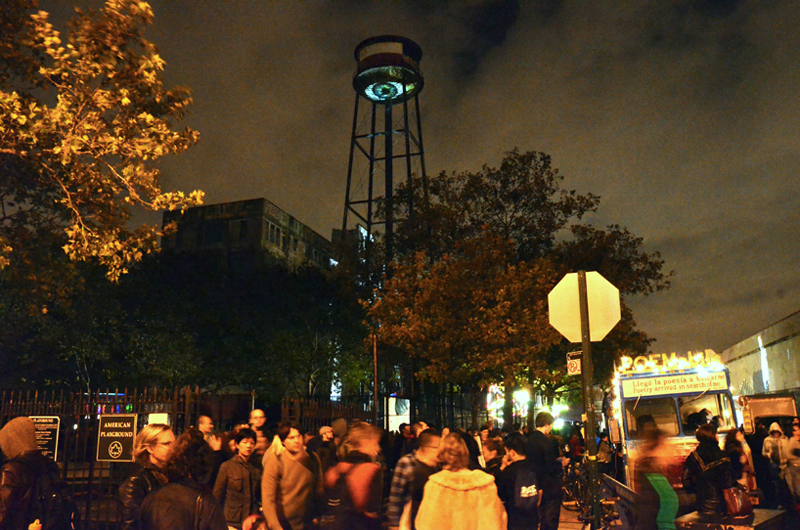 CCTV/Creative Control seeks to question the oppressive mechanisms of control implemented in the city through the temporary appropriation of public space. 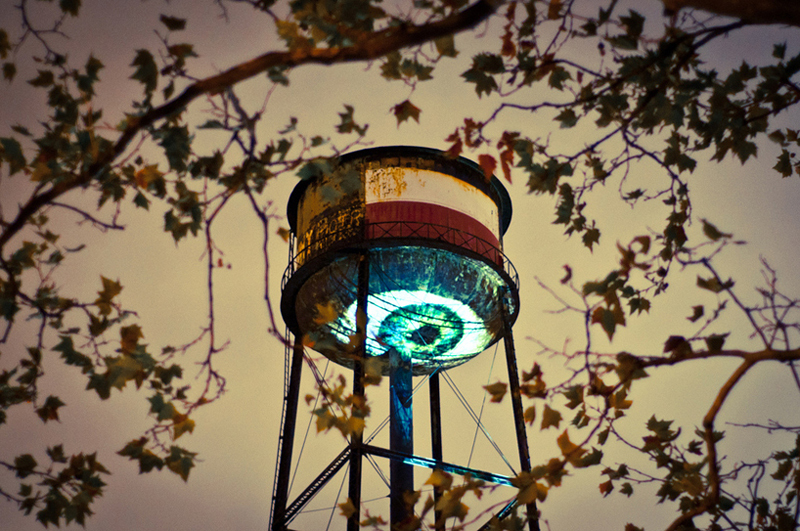 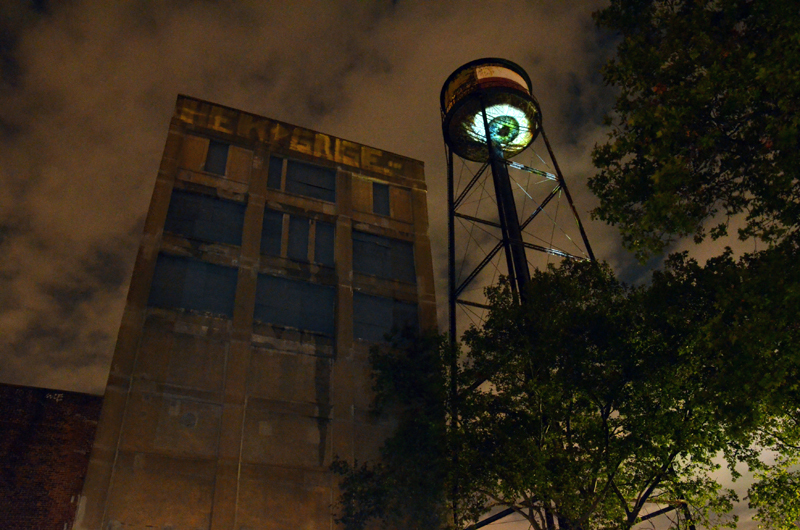 The intervention consists of a video projection displaying an over-sized eye onto the lower surface of a 10-storey-high abandoned water tower in Brooklyn, New York. 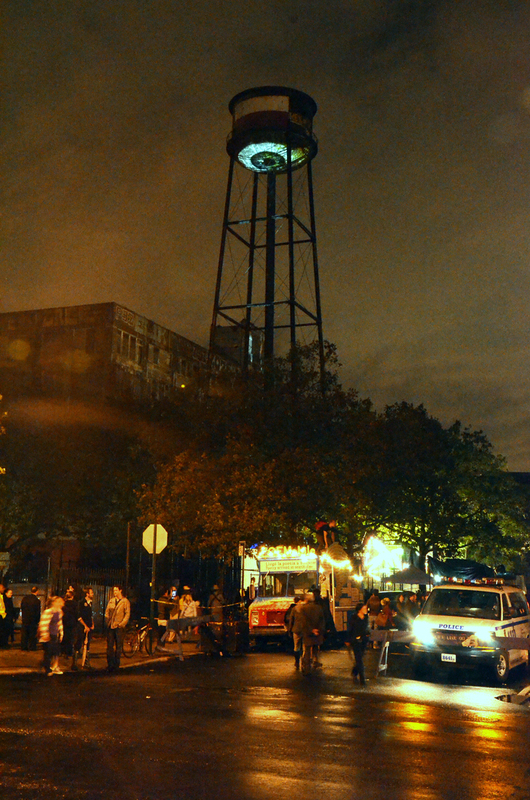 Still the highest point in the area until it is dwarfed by new gentrification plans, the water tower exists as a relic of the neighborhood’s industrial past. 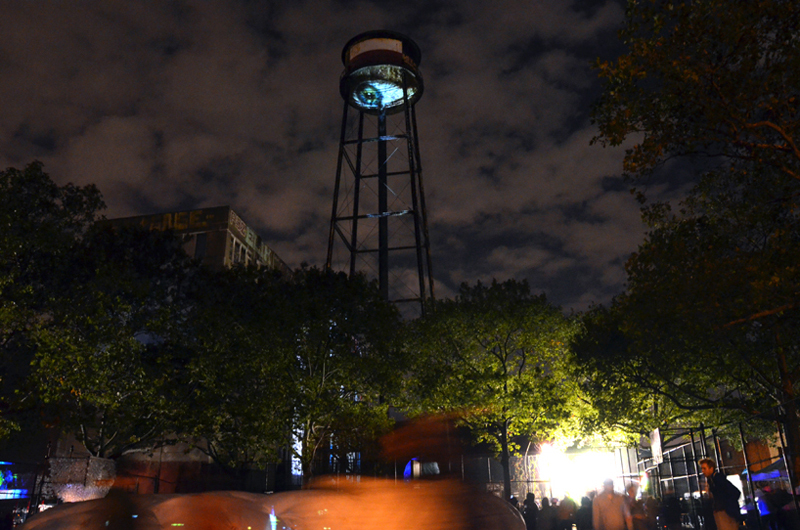 The intervention temporarily transforms this iconic landmark into a discernible CCTV tower, raising questions of private control over public space in the urban context.